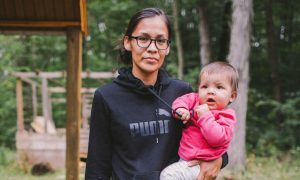 Post Tagged with: "Indigenous Rights"
Native Americans in Ontario are living with dried up, contaminated wells and no running water, while Nestle extracts nearly a million gallons of water a day from their reservation. An indigenous Amazonian tribe in Peru seized a grounded military helicopter and kidnapped eight public officials last Sunday, after two recent oil spills on their ancestral land. The “Wampis” are holding the officials hostage until the government agrees to clean up their polluted land and rivers. Hostages include three employees of Petroperu (the state-owned energy company responsible for the spills) four officials with the OEFA (Peru’s version of the American EPA) and one official from the Energy and Mines Ministry.